Ravenchase Adventures bills itself as a “real adventure” using “riddles, anagrams, puzzles, actors, the far reaches of imagination and more,” and warns that it “may be more fun than you can handle.” They hold events around the country (upcoming locations include Honolulu, Chicago again next month, Baltimore, Manhattan, Charlotte, Philadelphia, Washington D.C. and others) and will be putting on a national treasure hunt in July. Since I really enjoyed playing Tombstone Hold ‘Em and have always been envious of those who’ve gotten to participate in events like the Go Game or Jane McGonigal’s oeuvre, a Ravenchase race to a final location determined via clues at downtown Chicago landmarks seemed like a perfect opportunity to get my puzzle hunt fix. I headed to Chicago to meet up with fellow ARGNet writer Krystyn Wells and two other crewmembers from my beekeeping days. On Saturday, Team Beekeepers assembled around the Chagall mosaic at 3:00 and got our beautifully-rendered treasure maps, along with a packet of clues. Roughly two hours later, we’d cracked our final puzzle and were headed to the final meet-up point. I have mixed feelings about the experience. In any puzzle design, the puzzle maker has to weigh the potential for frustration against the desire to make the puzzle difficult enough that solving it is rewarding for players. At a live event, especially when it’s a race, any intuitive leaps asked of the players have to be reasonably small, since their time and resources are far more limited than in an online game. Even taking that into account, however, the intuitive leaps demanded by Ravenchase were so limited that they were essentially nonexistent. The result was that solving the riddles felt more like checking off a shopping list than solving a mystery, and there weren’t really any of the “aha!” moments that make puzzle-solving so rewarding. The experience would have benefited enormously from opportunities for players to exercise their own creativity and feel good about solving puzzles or overcoming obstacles. The only difficulties ended up being frustrating, rather than pleasantly challenging. In one case, the location containing an answer was closed to the public for maintenance, and in another, lack of good indicators resulted in too much ambiguity: a clue indicated that a strip of paper was hidden in a flower bed, but the flower beds covered quite a bit of territory, and we ended up giving up and coming back, only to realize, after Krystyn grabbed it, that three of us had seen the clue and ignored it because we thought it was a piece of trash. To be fair, however, our patience was probably reduced by the fact that downtown Chicago in January is not a pleasant place to be outside for several hours. I’d play Ravenchase again, but not in the upper Midwest at the height of winter. Ravenchase did a number of things very well, however. One of the locations on the map was a red herring, and there was an adversary character who could impose a 20-minute time penalty if she got a picture of a player’s face, which added a bit of excitement and aided in preventing frostbite by encouraging us to keep our scarves over our faces. If we got stuck, we could call in for hints, but they would also result in a time penalty. Hidden along the path, however, were gold coins, each of which provided a 10-minute time bonus. The prizes were fun and kitschy (our third-place finish was rewarded with a statue of the Egyptian god Horus). The size of the play space was also perfect — big enough that it felt like we really were using the city as a game board, but small enough not to be exhausting. The criticisms I mentioned above could be fixed with a little tweaking, and may have been unique to this event rather than characteristic of Ravenchase’s games as a whole. Most importantly, Ravenchase succeeded admirably in providing one of the most lasting and satisfying side effects of ARG live events, scavenger hunts, and other pervasive games. These events make you feel connected in a very personal way to objects or locations involved in the game. I’ll never look at that area of downtown Chicago the same way again: it’s special to me and I feel like I got to know it far more intimately than I could have by shopping there or going to a concert in Millennium Park or staying in the area. If I have an opportunity to play again in balmier weather, I’ll be there. All event photos courtesy of Josh Monken. 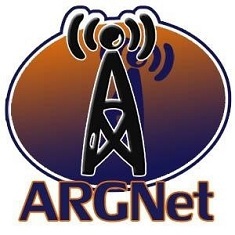 Open Call for Writers – ARGNet Wants YOU! The game you played was for beginners and was by all counts one of the easiest ones ravenchase makes. Try an intermediate level game. It is extraordinarily challenging and rewarding at the same time. The advanced level games could make you suffer a brain anorisum. I don’t remember seeing anything on the site or in the emails indicating it was an easy version of the game. I believe that it probably was, but I’d have liked to know ahead of time that I shouldn’t expect it to be challenging. Hello, this is Chris Maloney the director of the Chicago branch for Ravenchase Adventures. I apologize the event was not exactly what you were expecting. I will take your suggestions into consideration if I use this course again for a private event. For the future of Ravenchase in Chicago, the events will grow in complexity. Some events in the past include what we call “Realventures” such as crime scene investigations and Vampire Hunts with a rich and developed storyline. Hopefully the event you attended will not deter you from participating in the future.